Priced $28K BELOW new appraisal! Exceptional home located in highly sought after gated golf community, and it rests on an upgraded lot with no rear neighbors! 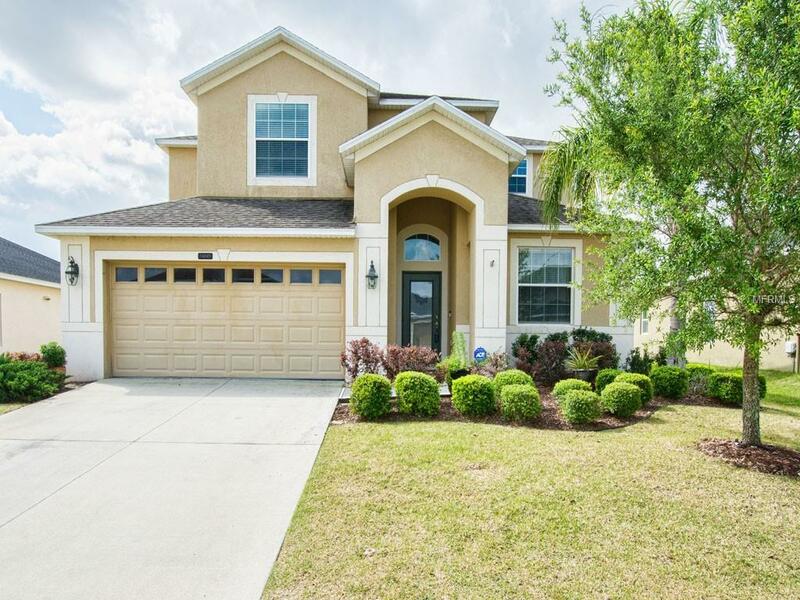 This amazing 5 bedroom, 3 bath home also boasts a huge 13x18 bonus room as well as an abundant amount of storage space! The beautiful kitchen has been upgraded with granite counters, plenty of 42" cabinets, and stainless steel appliances! It also has a breakfast nook, center island and built in desk area! You'll have plenty of room for entertaining with the family room, large dining room and living room all with beautiful laminate flooring! You will also enjoy the screened in lanai featuring a summer kitchen ideal for entertaining family and friends! The first floor also includes a bedroom and full bath. Upstairs you will find 3 more bedrooms, a bonus room which could be converted to a large 6th bedroom if needed, and the huge Master suite. The spacious master bedroom comes with his and hers walk in closets. The master bath has granite counters with dual sinks, a large walk in shower and a garden tub! In additional to all of this space, you will get to benefit of the 3 car garage (or massively oversized 2 car garage) with built in cabinets and storage space. If that's not enough, you will also enjoy the luxury of having the brand new Publix shopping plaza right around the corner! You're also just minutes from Downtown Mount Dora, Eustis and plenty of shopping and restaurants. This home has everything you need, just bring your family!